You hear it everywhere. Artificial sweeteners are bad for you. You should avoid them at all cost. They are going to make you fat. They are going to give you cancer. Well, I'm not sure about any of that, but I can give you my opinion on a few that are currently available. This is my "artificial" sweetener of choice. Though it's not technically artificial, I wouldn't exactly say that it's natural in most of the forms in which it is consumed. Personally, I use granulated stevia, which definitely has some not so natural ingredients such as maltodextrin. I also use a liquid form with minimal ingredients which appear to be natural. I feel very good about using stevia. I let my children use it and it helps me to reduce the calories I consume. There are some drawbacks to stevia. I like it in tea, but for coffee, it really is second rate. It's great to sweeten cold beverages such as lemonade instead of sugar and it's good in yogurt, but for baking just skip it. I recommend stevia as a good option for people wishing to use a calorie free sweetener. This product is found in most diet sodas and virtually all commercial chewing gum, even in gum with sugar. I usually stay away from aspartame. I admit to having some in diet soda and chewing gum occasion, but if I drink more than one beverage containing aspartameI get headaches. This does make me wonder what else is going on in my body as a result of consuming it. I have read that aspartame changes to formaldehyde at 86 degrees. I cannot personally verify this, but it's just one more reason to limit consumption of it. Supposedly there are government conspiracies surrounding the approval of aspartame as well. While I cannot confirm this either, I would not be surprised if it were true. In the past few years I've noticed that aspartame is making a slow retreat from the grocery store shelves. Many of the items that used to contain it are switching to sucralose. For all intents and purposes, I cannot recommend aspartame as a calorie-free sweetener. I admit I know very little about saccharine. I do remember at some point many years ago, the warning that it caused cancer in lab rats was removed from its label. It was said that it was not a good predictor of what it did in humans. I don't really care for the taste of saccharine and have not purchased it. It has mostly faded into the background, but you can find it at church coffee hours and in the hands of folks who grew up with it. We all have a hard time letting go of what we like, so if you like saccharine, go for it. I'm not sure if it's bad or if it's harmless. If you like the taste, you decide. 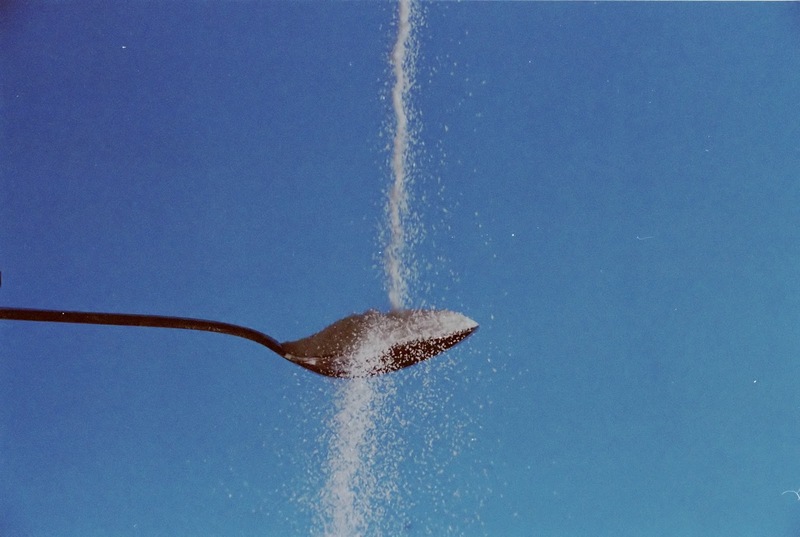 Sucralose is likely one of the most popular sweeteners at this time. Supposedly it is made from chlorinating sugar. Some people are very touchy about this fact. They do not want chlorine entering their systems. I can't say I blame them. Some say Sucralose kills our intestinal flora. This is another fact for which I have no proof. I do not make a habit of purchasing Sucralose or consuming large doses of it, however I don't intentionally avoid it. If I'm out and I need my tea sweetened, I use this. If I want a soda, I prefer this as the sweetener. Sucralose does not appear to give me any negative physical symptoms such as headaches. It helps me to keep my calories down and it tastes better in coffee than stevia. I don't think it's an all natural choice and perhaps it's not great for our bodies. I personally use it on occasion. When it comes to low calorie baking, Sucralose is the only no calorie sweetener I know of that will get the job done decently. This is one positive thing about it. Look up the facts for yourself. There is a lot of information out there. You decide. This a newer sweetener on the scene. It has been well known in health food circles for some time, but I have only seen it on shelves for the past few years. Many of the boxes I've seen have also made it to the clearance shelf in these past few years. Monk fruit sweetener is made from the extract of the Monk or Lo Han fruit, which is apparently very sweet and low in calories. The extract is then treated much like stevia and put into a liquid form or bound with a bulking agent such as maltodextrin. I like the taste of this sweetener. It has less of that artificial taste that stevia ironically has. It is good in coffee and other hot beverages. I have not baked with it, so I cannot attest to it's baking properties, but I'm guessing it would fall flat. So there you have it, my take on artificial sweeteners. Like I mentioned earlier, there is a ton of information out there, some valid, some overly hyped. Just google it and you'll see. These are the conclusions I've come to after many years of reading and tasting. In the end, though, the choice is up to you.